Availability: long deleted; Argo released an EP of tracks from the album in 1961. 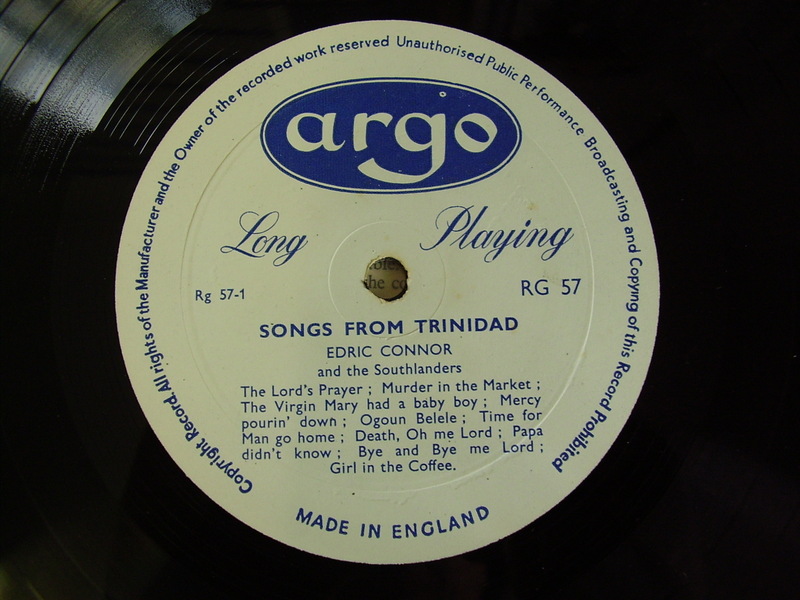 This was Connor’s second of three albums with vocal harmony group The Southlanders (the first was Songs from Jamaica in 1954 when they were known as the Caribbeans). 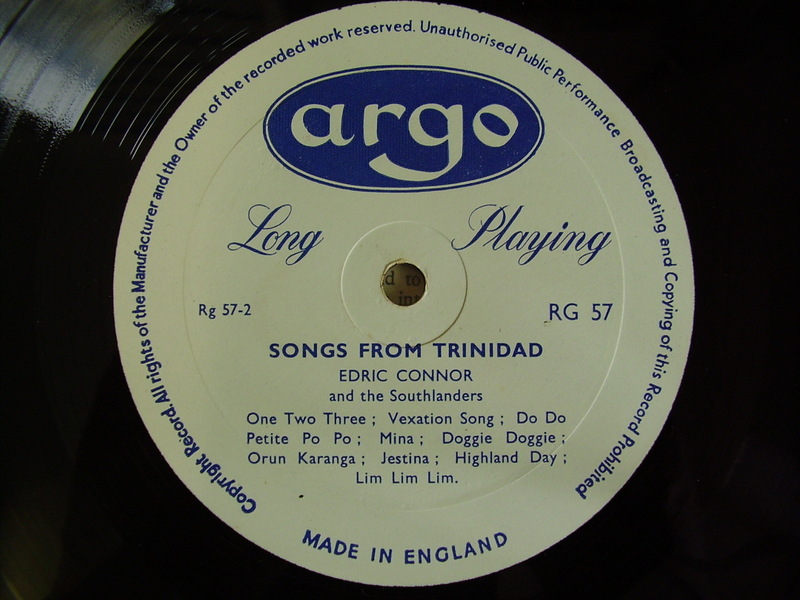 In 1958 Oxford University Press published the scores of 45 Songs from Trinidad collected and edited by Connor and arranged for voices, guitar, drum, and bass by Gareth Walters. Long out of print, it includes the 19 songs on this LP plus such gems as Blow, Nelson. In 1945, Boosey & Hawkes published The Edric Connor Collection of West Indian Spiritual and Folk Tunes, arranged for voice and piano. When Connor was planning the LP Songs of Jamaica, he asked Nesbeth, who he had been coaching in singing, to see if he could put a vocal backing group together. The recording over, Connor persuaded them to stay together and invited them along to perform with him in cabaret at the Celebrity Restaurant in Central London. “This man was so unselfish that he took the risk of having a group of novices join him, in his professional engagement at the restaurant, to perform two of the songs they’d recorded for their L.P. It is doubtful if any other artist would take such a risk. The show was a success. Edric Connor had a heart of Pure Gold,” was Nesbeth’s opinion of his mentor. Read more. Although the Southlanders went on to have several chart hits – the biggest of which was Alone in 1957 – they’re probably best known and loved for their song I am a mole and I live in a hole. If you were a kid in the late ‘fifties/early ‘sixties, you’ll have sung its bass refrain in the playground with your chums. Nesbeth is still singing with the latest version of the Southlanders – “the longest running male vocal group in British pop history” – doing cabaret and cruise liners. Many thanks to eBay seller Dave Ayre for providing the pix of the LP and to Vernon Nesbeth for quotes and the picture of the group’s first performance above. ~ by folkcatalogue on April 24, 2009. If you still haven’t heard this record,I have a copy, so get back to me and I’ll see what we can do. I am trying to get a copy of this album. Can you help? Thanks. 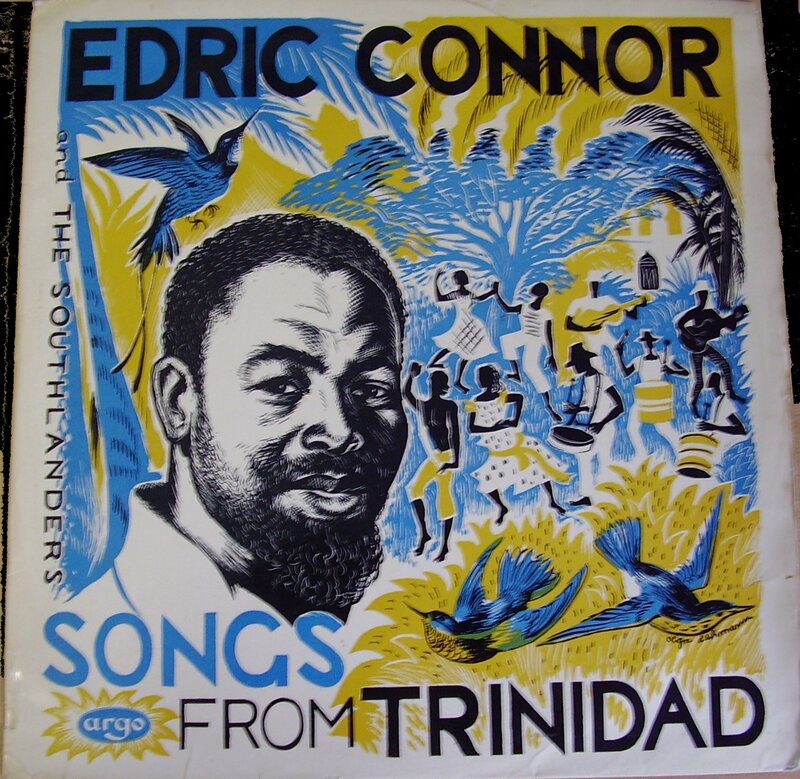 I’ve just discovered this wonderful voice of Edric Conner, I love the songs on this album Songs from Trinidad and also Songs from Jamaica. Do you know how or where I can purchase copies? Hi Sunnie, you can download Songs from Jamaica here. 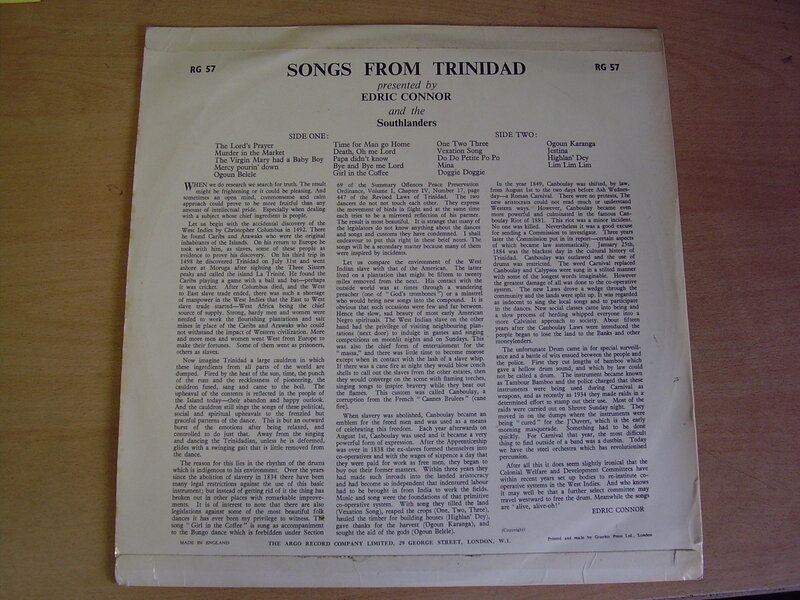 I’ve never seen Songs from Trinidad available apart from very very occasionally on eBay.